CAN means control area network and it works as a net, just like LAN nets for computers. To use the can net it is essential to have a complete wiring system with Canbus bypass relay (Canbus relay wiring kits). 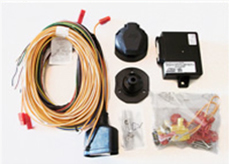 Our wiring kits have a universal Canbus bypass relay with only one code valid for each car equipped with CAN line. 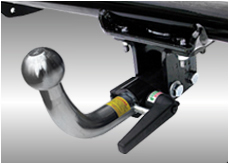 - Only one product for every tow bar for vehicles with CAN line. - Possibility to connect directly to Rm for vehicles that do not give any information on the CAN line with rose cable, already included in the wiring. - The database with the new models of vehicles compatible is always up to date. - The kit is equipped with the list of links and the codes for vehicles.